Rogers has offered the trade-up program for a little while now, but only recently has anyone really taken notice, and the feedback is far less than impressive. Through my Google+ streams, I've been coming across post after post of people getting trade-up quotes from Rogers out of sheer curiosity, and the results are straight up laughable. To confirm this and follow up on this myself, I took the 3 phones I currently have laying on my desk and got them quoted. Rogers Moto X. Currently selling on Craigslist between $325 - $450 in depending on condition and accessories given. Google's Nexus 5, Currently selling unlocked through Google brand new at $359 to $399. On Craigslist it's going for $300 to $425 depending on storage size and condition. Rogers Samsung Galaxy Note 3. Selling on Craigslist between $500 - $650 depending on condition and accessories given. When I saw these prices I was a little shocked, but then I remembered I was dealing with Rogers. Offering less than half market value, and looking at the Moto X and Nexus 5, less than a quarter. Granted they take the hassle of dealing with private sale drama, and everyone trying to lowball you, but these prices are a little ridiculous. So I highly recommend people DO NOT use this service, but rather do a little footwork and sell these phones yourself, unless you hate money. You know Rogers is just going to buy these and sell them at 10 - 15% off of full price as a refurbished model to another customer. However, with the recent scare of buying a blacklisted phone, there's easy ways to protect yourself. If you're feeling a little sketchy about your seller, have them call the carrier the phone belongs to and have them transfer the IMEI number to your account. This releases ownership of the phone from that person, thus they cannot report it stolen, or have it blacklisted anymore. 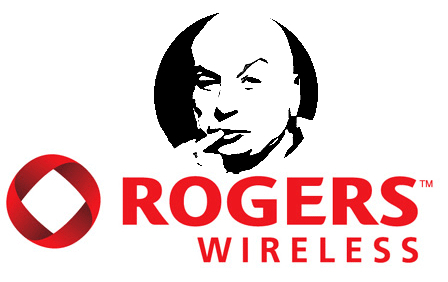 Don't let Rogers and other carriers offering similar trade-up programs rob you. Buying and selling phones is the core reason I'm able to have 5-6 phones per year with little to no money out of pocket, don't let anyone take that away from you.